No Software !!! No Bots !!! 100% Google Penguin & Panda safe!!! Send you the complete report!! 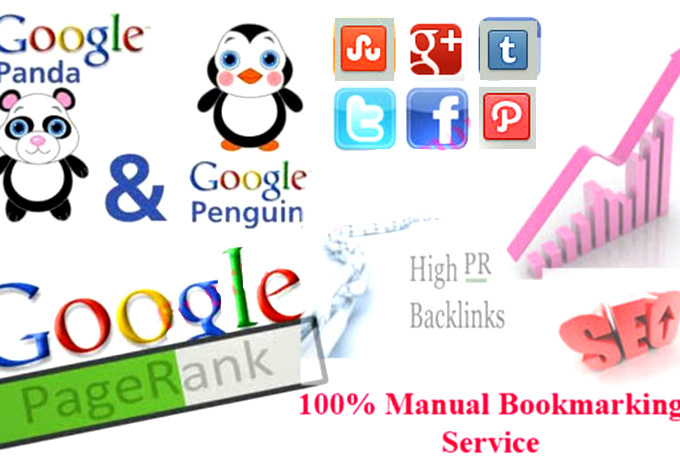 Manual Submissions to Social Bookmarking Sites. It is a way to store and organize web pages on the internet. What we do is give you links from these websites. These are valuable because they are frequently visited by the search engines, they attract thousands of visitors daily. It provides a great boost to your rankings!!! I will give 135 plus Backlink High Pr Social Bookmarking site is ranked 5 out of 5. Based on 9 user reviews.